The 2019 Munster Rugby Awards, in association with the Irish Independent, take place next Tuesday, April 23, at the University Concert Hall in Limerick with the nominations for Munster Rugby Player of the Year now finalised. 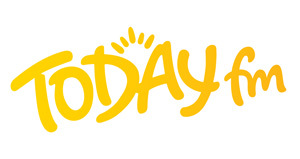 See more details on the event and how you can attend here. The overall winner will be decided by a public vote. 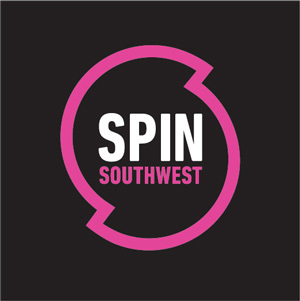 Click here to vote via the Irish Independent website. 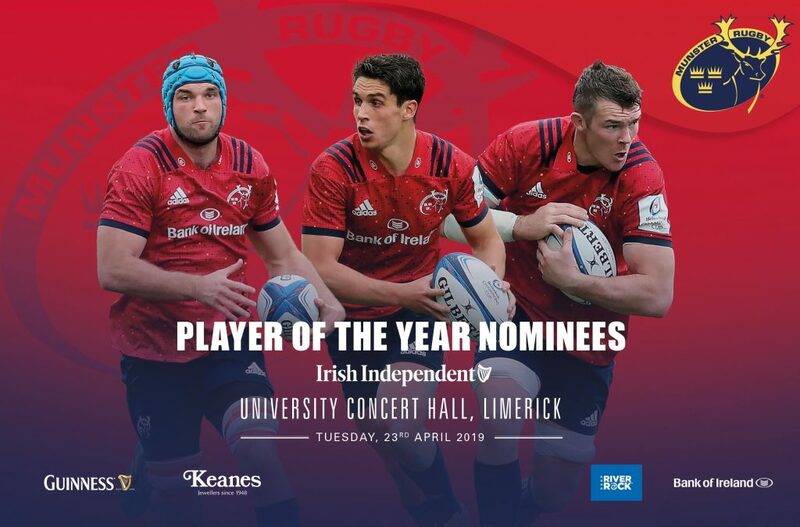 Vote now to be in with a chance of winning a pair of tickets to the Munster Rugby Awards night that will take place at University Concert Hall on Tuesday, April 23, at 8pm. The lucky winner will also receive a Munster Rugby signed team photo, a signed rugby ball, plus a pair of tickets to Munster v Connacht on Saturday, April 27, at Thomond Park at 7.35pm. Since joining the province at the beginning of the season, the imposing Tadhg Beirne has made 17 appearances in red, scoring one try. The turnover king leads the way in the Champions Cup on 14 turnovers. His impressive work-rate at the breakdown has received widespread acclaim with the 27-year-old deservedly winning Man of the Match awards at home and away against Exeter Chiefs in the Champions Cup, and against Leinster in the Guinness PRO14. 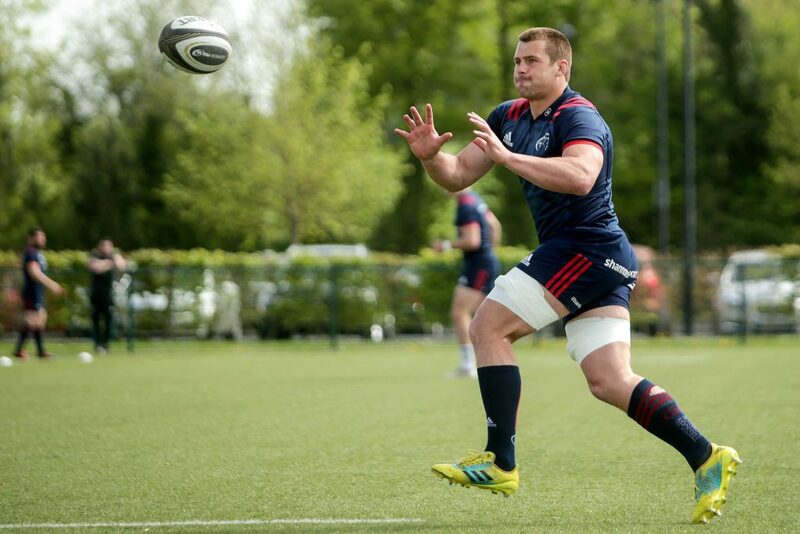 The lock’s committed performances for Munster have quickly established him as a fans favourite amongst the Red Army. On the international stage, Beirne made his Six Nations debut starting against Wales in March. He is one of three Munster players nominated for the EPCR European Player of the Year award. On joining Munster Rugby at the beginning of the season Joey Carbery made an immediate impact, hitting the ground running by featuring in the first eight games of the season. Well received by the Irish Independent Park and Thomond Park faithful, the out-half has made 14 appearances for the province to date, scoring six tries and kicking 130 points. Following the pool stages, the 23-year-old was the Champions Cup top-scorer with 68 points, including 26 in Munster’s crucial Round 5 victory over Gloucester at Kingsholm. He won the Man of the Match awards in both European clashes against the English side, and also produced Man of the Match performances against Ulster and Connacht in the Guinness PRO14. Carbery joins Beirne as one of three Munster players nominated for the EPCR European Player of the Year award. Captain Peter O’Mahony is enjoying his best campaign at Munster and is in the running to win the province’s Player of the Year award for the first time. The flanker has made 15 starts so far this season and has been instrumental in the province’s run to the Champions Cup semi-final and the Final Series of the Guinness PRO14, most recently picking up the Man of the Match against Cardiff in Cork. Leading from the front, 2012’s Young Player of the Year has been outstanding in the lineout and exceptional at the breakdown. He made 73 tackles and missed just two in the Champions Cup so far this season, averaging over 10 per game. On the international front, O’Mahony was Man of the Match in Ireland’s momentous victory over the All Blacks in November. He played every single minute of the 2019 Six Nations campaign, winning Man of the Match award in the victories over Scotland and Italy. 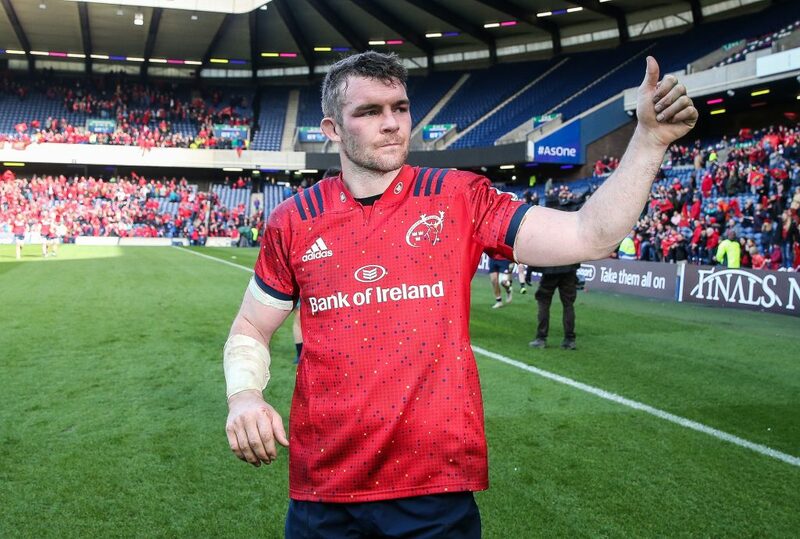 O’Mahony joins Beirne and Carbery as one of three Munster players nominated for the EPCR European Player of the Year.